i have to say...: let's get real--on monday! On my old blog I liked to play a little game called "Let's Get Real Monday". Really it was just a fun way to get to know other bloggers and to find out a little bit of truth about people. I think that here in the blogosphere it is easy to hide under the lovely pictures of our homes and kids, and occasionally it is time to "get real"! So, this is where I revive my little game! 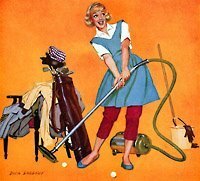 The theme for this time is "spring cleaning". All of that lovely sunshine streaming into my windows everyday has been illuminating some things that need to be done around this house. Why is it that in the dead of winter I never noticed that I had enough dust above my kitchen cabinets to card into wool and knit into a sweater? Or how was it that I glossed over all the flour/sugar/spices coating the corner cabinet in my kitchen? Well, this is where I get to show it all off! Will you play along with me? The more the merrier, I always say! On Monday simply post your own "Let's Get Real Monday--Spring Cleaning Edition". Pick your own must-be-cleaned spot (or spots) in your house and post them on your blog (posts with or without pictures are perfect!). Then leave your link in my Monday post so that myself and the other gals can come visit you! If you are asking yourself why you should post your messies on your blog, know that we will all feel better with the knowledge that we are all in the same boat, dust bunnies and all! And besides, I will look a little silly doing this all by myself, won't I?